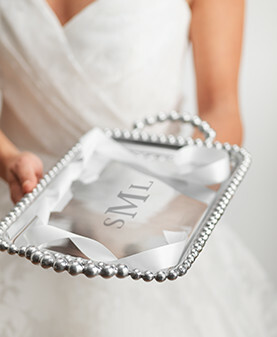 Personalized Gifts Engraving Collections include a variety of items from Personalized Cocktail Party Napkins, Engraved Wood Boards, Printed and Monogrammed Linens, Handbags, Totes, along with a vast selection from Mariposa's Engrave-able Personalized Gifts and Serve-ware collection. To order come on in to the shop and check out the latest Personalization Product Catalogs. Select and chose your personal fonts, graphics, images, color and more. 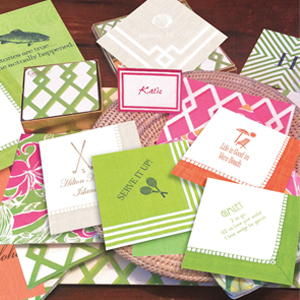 Caspari Personalized Napkins for Holidays as well Personalized Napkins for everyday. Just about the entire Caspari collection is available for personalization with all kinds of graphic fonts and color options. 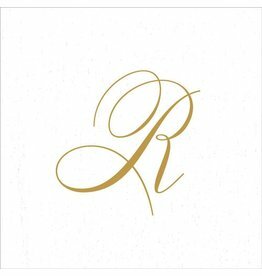 We offer Custom Emboridered Monograming and Engraving of Initials on a variety of our items from initialed bath towels, Maple Leaf Wood Cutting Boards, Metal Alloy Barware Serveware from Nambe and Mariposa Giftware to Slant Collections Acrylic and Glass Drinkware. Many can have just about anything you like engraved with a personal message, saying, milestone date, or corporate name as well. 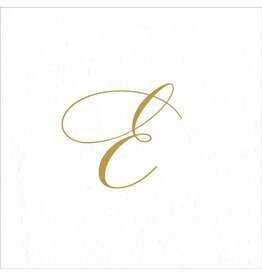 Christmas Initialed Paper Guest Napkins. 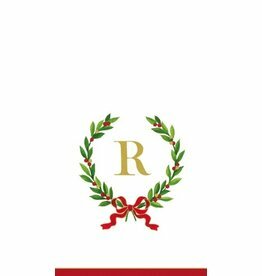 Christmas Laurel Wreath Collection. 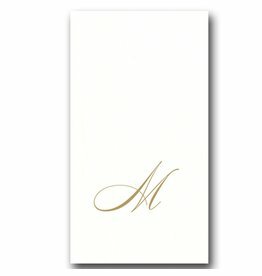 Set of 15 Initial Guest Napkins per package. Size: 13x16 inches open 4.25x8 folded. 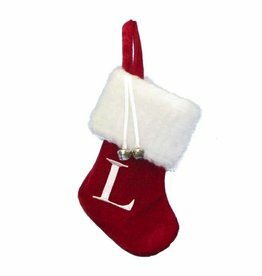 Features Cursive Initial in fine gold leaf surrounded with red and green laurel wreath design.